No valid MTS2 login could be found. Please note that you must be logged into MTS2 to use this server. 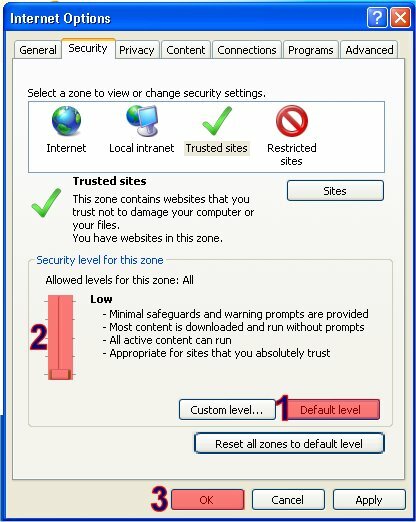 * Try allowing "modthesims2.com" in your security software for cookies. * MAKE SURE you have ticked the "Remember Me" option when logging in. If you do not, then you will not be able to download. Drag the slider all the way down to "Low"
Now close Internet Explorer. 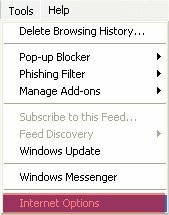 Log out of MTS, and then back in, remembering to click the 'Remember Me' box. You should now be able to download. If this does not work, you may need to delete your cookies (you can do this in Internet Options), then perform the logout->close->open->login process again. Note that the screenshot is inaccurate - you should add "modthesims.info" to the list, not "www.modthesims2.com". Thanks to Pandora3co for information in this article. This page has been accessed 59,107 times. This page was last modified 06:37, 1 September 2010 by whiterider.